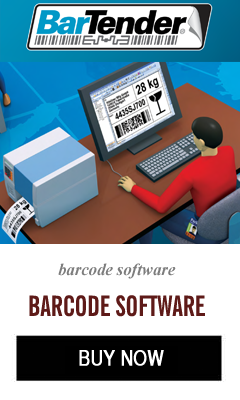 An Electronic Product Code (EPC) is a universal identifier that gives a unique identity to a specific physical object. This identity is designed to be unique among all physical objects and all categories of physical objects in the world, for all time. In most instances, EPCs are encoded on RFID tags which can be used to track all kinds of objects including: trade items, fixed assets, documents, or reusable transport items. Each class of object – trade items, reusable assets, documents, etc. – has a corresponding GS1 Key. GS1 assigns and manages the keys as well as their data structures. GS1 Keys provide context for the EPC data associated with a physical object. The only GS1 key that does not directly correlate to an EPC data schema is the GTIN which describes a type or set of trade items. An EPC always relates to a unique individual item and thus a GTIN is paired with a serial number to form the context of the SGTIN EPC schema. The EPC can be what distinguishes two identical products, and a single EPC can provide a specific product’s manufacture date, origin or batch number. A division of GS1, EPCglobal, manages the application and standardization of EPC use. To ensure the best practices of EPC usage, EPCglobal devised the EPCglobal Architecture Framework (EPCAF), a collection of hardware, software, and data standards. A Pure Identity EPC URI is the primary representation of an EPC as an Internet Uniform Resource Identifier (URI). The Pure Identity EPC URI is the form that is used to identify a physical object in documents, databases or computer programs, in the same way a URL identifies a website’s resource or location. The EPC Tag URI is a data structure made up of the EPC followed by control information. In order to guide the data capture process from Gen 2 RFID tags, the EPC data and control information is stored in a memory bank on the tag. The EPC Tag URI data is written in decimal form. The last standard is Binary Encoding. The EPC memory bank of a Gen 2 RFID tag contains the EPC data and the control information compressed in binary form. This binary encoding is a translation of the EPC Tag URI data. Binary encoding is only seen in very low levels of software or hardware and is usually converted to the EPC Tag URI or Pure Identity EPC URI form before being presented to application logic.